To most lonely and dedicated wine souls, Burgundy is the greatest challenge of all. One taste of a Montrachet or Romanée-Conti and one is doomed for a life of endless searching, and the painful reality of never-enough-money to even sniff wine’s Holy Grail. Even village wines cost more money than most mortals can spend. So it comes down to this: rare, ultra-expensive wines are often difficult to pronounce and harder to locate, even if one has reconciled the cost of the wine. It is no wonder that so many consumers have been chilled out of this precious wine region. Yet Burgundy, well aware of this situation, has begun to market wines that we all can afford. Bourgogne Chardonnay and Bourgogne Pinot Noir is now the ticket back into Burgundy and provide the world with not just delicious and affordable wines, but wines that can be found in the marketplace. 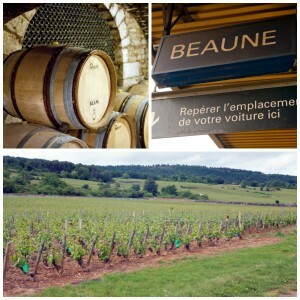 Wine experts freely admit that Burgundy is the birthplace of quality Chardonnay and Pinot Noir. While both varietals (more chard than pinot) are widely grown throughout the world, history and research always begin here. Bourgogne is now the appellation that delivers the flavors of the varietals, as well as the characteristics of Burgundy at an affordable price. Over the last 20 years, I have been most impressed with Bouchard Père et Fils and how their continued growth to make better and better wines. The current 2012 Bourgogne Chardonnay and 2012 Bourgogne Pinot Noir are excellent representatives of this category and of these varietals. One doesn’t always have to break the bank to enjoy the wines from this land that stretches from Dijon to Lyon. This pair of wines are from Burgundy with love.